Versatile Terrain, is offering a custom service - allowing you to own bespoke name plates for your character minis. Our plates will fit all sizes of round bases, seen in popular gaming systems. Choose your size, STYLE, FONT and name at our SHOP... then leave the rest to us. Check out our GALLERY to see some just some of the work our customers have been up to! Unique items for narrative game play. We all love to own something unique... something I discovered when converting my models. With the Name Plates you get to have that. Naming our miniatures brings a whole new level of depth and attachment. So why not show that off? Because of the process and hardware we use, we are able to achieve amazing detail. 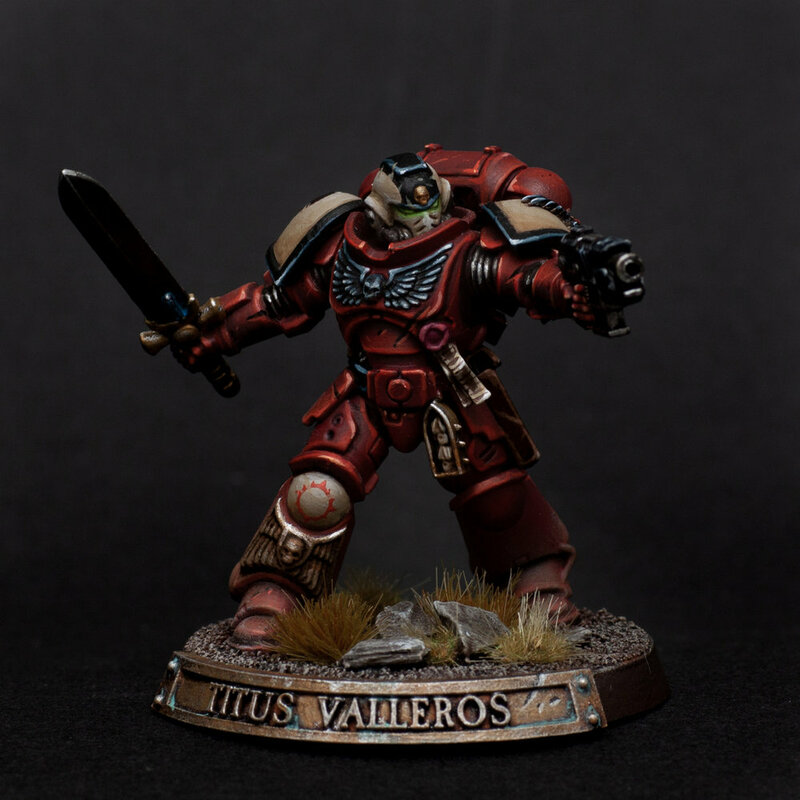 The picture shown above is for a 32mm base. Every print is washed in Isopropanol, and then UV cured in a our own custom built light box - before being packaged up and sent to you. Professionalism is key. We want Versatile Terrain to be recognised for its positive, moral attitude and put the customer first. My background is 3D modelling/animation and VFX, so you can expect a meticulous attention to detail in every plate. We provide optional notches in the plates, base sizes from 25mm to 60mm. These indicate the 90 deg fire arc, often used in gaming. We will also cater for a 180 deg fire arc on some plates. Just snap off the sprues, a little filing and you are ready to glue the plate to the edge of your base.